28-year-old Emer Buckley from Malahide parkrun loves combining running with travel. As well as taking part in 31 different parkruns in Ireland, Emer has travelled far and wide to run in marathons, with her most recent adventure being the gruelling Antarctic Ice Marathon. My aunt first told me about parkrun. She believed that my mother and I would both enjoy it, and as it turns out she was right! I love that it’s a community event and that everyone is so supportive even if they don’t know one other. I really like that each event is so different too, and you can travel to parts of the country you might not otherwise get to see and all you need is your barcode. 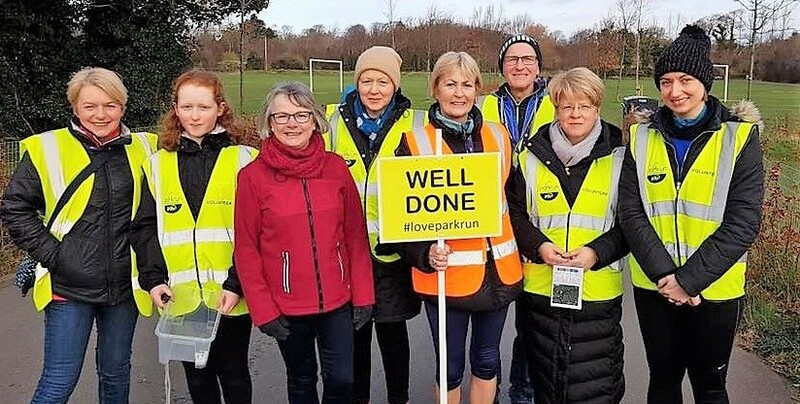 I normally do parkrun with my mum and my aunt, and there’s also a regular group of us who meet up when we travel to different or new events too. This desire to combine parkrun with travel also extends to other forms of running too. I would love to do all six of the Marathon Majors, and having done two already (Boston and Tokyo) and I am hoping to do London and Berlin this year. I love that marathons allow you to see cities from a completely point of view by running across bridges and roads that are usually just for cars. However, the maddest and most memorable races I have done – and may ever do – is the Antarctic Ice Marathon, the only footrace within the Antarctic Circle. It’s the most southerly marathon in the world with an average windchill temperature of -20C. It was set up in 2006 to enable marathon runners to complete a marathon on all seven continents. I had read about the 7 Continents Marathon Club a couple of years previously, and realised that it could be quite nice to run in some other countries and cities. In order to complete the 7 continents I would also have to venture to Antarctica. I watched every video of it that I could find online and the more I watched the more I wanted to go. Training for such a race – which is run entirely on snow and ice – was a challenge in itself. For the cold weather, I tried to go out running on the most miserable days during winter. One of the best parts about Antarctica is that it’s dry, so it has a dry cold which is very different to the weather we get here in Ireland. The biggest problem to avoid there actually ended up being overheating. For the surface though, I was able to train on sand and that was pretty similar to the snow. Thankfully I didn’t have to adjust my normal marathon strategy too much. One of the pieces of advice I heard before going was that you should run for longer lengths of time, not necessarily just longer distances. The issue with running in Antarctic conditions is that you’ll probably end up running for longer than usual so your mind and stamina need to be ready for that as well as your body. There were just over 50 runners taking part and we all made our own ways to Puntas Arenas in Chile. After our debriefings we took a four hour flight down to part of mainland Antarctica, inside the Antarctic circle. The weather in Antarctica changes from hour to hour so there can be a lot of waiting around when you’re waiting to fly in/out of the continent. But it was nice because this was time for all the runners to get to know each other more. We stayed down there for three nights before before returning back to Chile. The race was incredible! The original route was meant to be two half marathon laps but the winds were quite strong so they reduced the circuit to four laps of just over 10k so that we were more sheltered. The course had been crevasse checked and smoothed out just before we arrived, and we had snowmobile support, aid stations every 5k (good for parkrunners!) and medical personnel for the duration of the race. The run itself was surreal. At times it was just me with nobody else even in sight. The course got tougher as the day went on because the winds picked up and were eventually blowing more snow onto the originally smooth surface, which made it more difficult to run. There was one one section in particular that I found very hard to run but had to on the final lap in order to keep myself warm. I was a perfect temperature for most of the race, however, along one side the winds just made things nice and tough until but then you got to turn your back on them and run downhill with them behind you again. I was pretty emotional after the race. The crew at the finish made a big deal for everyone as they finished. They held out the banner for all of us to run through. As you can see from the photo I took my parkrun Apricot with me, but I didn’t meet any other parkrunners. 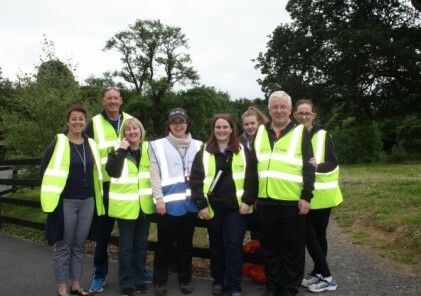 A lot of them had heard about it though so hopefully they’ll venture along and join the parkrun family soon!